first CBT now Munkatcher tragedy? very astute of you, Bray. I didn't plan it that way. How would you word it? As a kid the vitz I used to hear was "there are 3 rebbes in Munktatch, The Rebbe zchisoi yugein uleinee, the Rebbe zuhl laibin in gezint zahn and the Rebbe Yimach shemoi"
>How would you word it? Munkatcher History? Munkatcher Hamlet? Munkatcher Historical revisionism? Munkatcher throne abdication? there must've been a handful of times during my childhood when there were premature notices of his passing going around. That a young chusin didn't know what he was getting himself into is the easier part of the story to understand. How did the Minchas Eluzor NOT know what he was getting himself into? One would have thought tha t an ideological purity litmus test would've been at the top of his agenda. certainly he must have known that many of hte poilishe Rebbe's were closet Tziyonim or at least, a lot softer on Zionism than he was. Why didn't he pick his daughter a chusin from the Hungarian anti-Zionist heartland? Aye you'll tayneh that he was going for the top talmid chuchum available and he thought that he could "re-educate" him away from his deos koizvois why not go straight to the top and pick one of the lions of Slabodka, Brisk or Mir? I believe I remember (its been a while) when the rav in question came to Williamsburg around 1951-55 or so , and accepted kvitlech in the Tzeilemer bais midrash. It was a big deal at the time. 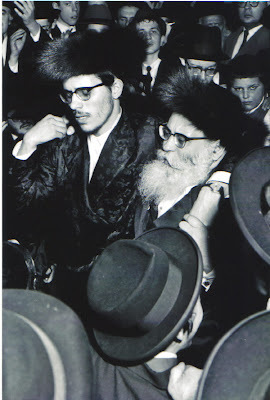 I also remember that by the mid sixties the issue was already sort of decided, despite some residual murmuring, and the current rebbe as a bochur was already treated with a certain amused but limited respect as the future rebbe. I have no great interest in the history of the new Munkacz, the old being more than enough both in psak and ideology, but I would conjecture that there were still possibilities for Reb Burech into the fifties. In those days there were plenty of Rebbes in waiting,Bluzev, Kapishnitz, Kamarna(?). To put it bluntly , they were just guys, not particularly more learned or more pious than their chavrusas or roommates. די רבי די מנחת אלעזר זצוק"ל האט דאך געהאלטען אז "אויב מ'שניידט אויף א ליטוואק טרעפט מען א צלם אין הארצען, און אויב נישט איז מיט איין ליטוואק ווייניגער, איז האסטו געוואלט ער זאל גיין קיין ליטא זוכען א חתן??? Another truobling question was on the mans leadership skills. With the Minchas Eluzor gone why did the chasidim reject him instead of him winning the chasidim over to his "new" hashkofa? I don't know when the shift occurred (Mohrash to Rashab?? ?Rashab to frierdiker???) but I know that just such a radical shift occurred in Lubavitch moving from staunch anti-zionism to don't-give-up-an-inch-of-land-Zionism of the final Rebbe zy"a.
Munkatcher- you make the kasha stronger. One would've assummed tha he had good "intelligence" on mishpucha. The point is that he didn't want it anymore! I guess it's a symptom of the ossification of Chasidus that new rebbes are never allowed to innovate anymore. It's ironic that a movement that began as radical and revolutionary has now, and probably for 50-75 years before the war, become the most conservative (re: preservative) "chodosh ossur min haTorah" branch of Judaism. IMO all the greatest Torah Leaders were those who knew the kunst of innovating within the Mesorah, simultaneoulsy breaking with yet cling to , the past. I think this may partly explain the phenomenon of the explosive popularity of the Na-Nach Breslovers. People sense it as something new and fresh yet still rooted in the Mesorah. I know.. besser tsi shreiben a k'laf vee tsu tsu riesen ah pahpir but didn't he do his due dilligence of investigation BEFORE shraibing tenoim? They where the external trappings of all other Charedim , even their koppels are a riff on a traditional Yerushalmi levush. They prava hisbodedus like "normative" Breslov. Yet...they are new and radical. Tzig your turn...why do you think they're so popular and have attrected more new adherents in the last 10 years than Munkatch has in the last 40? And while we're at it..are mivtzoim and shluchim rooted in the Mesorah? Tzig, look at my comment from 11:52 and you'll see that my last rhetorical question was meant as a compliment not a shtoch. you're right about the trappings, they're the most extreme when it comes to that. some even the blue kaftans during the week! but I'm speaking about the mantra. Mivtzoyim and Shluchim? come now, my dear man, are you comparing dancing on a van and doing the na-nach swipe to putting on tefillin and shaking lulav with the unaffilioated? Is it possible that Rav Rabinovitch was down nit just on the arch-anti-Zionist agenda but on the whole institution of the Rebbisteveh? IOW positing an alterantive history that had he been an aidem in Sochotshov or Alexander instead of in Munkatch that , post-war, he'd have switched job descriptions from Rebbe to Ruv anyway? come now, my dear man, are you comparing dancing on a van and doing the na-nach swipe to putting on tefillin and shaking lulav with the unaffilioated? Please don't be hypersensitive. Equating... no. Comparing? Absolutely. Both behaviors are things that Chasidim of the "same" chasidus (at least ones tha bore the same name) 3 generations earlier did not do, nor would they have dreamed of doing. BTW not that your movement or rebbe needs my approval but while not part of my mesorah I can at least see/ hear/ undertsand the benefit and rational of mivtzoim and shluchim while the benefits and rational chanting na-nach's escapes me entirely. rav burechel in the hakdoma of his sefer al hatorah writes about some of what happened..
care to share chnoyok as many of us don't own this sefer? If memory serves there was a shteibel of Munkatcher war survivors in California that were loyalists of Rav Burech'l and never accepted the Admorus of the current Rebbe. them comment left at 12:33 pm is wrong. The shul he refers to is Kahal Or Chaim, fondly known as the "Spiegel's Shul" which is still in existance. Whenever the current Rebbe visited LA, he was always hosted and "fiered tish" there. Some of the elderly members also kept up with Reb Baruch when he was alive. 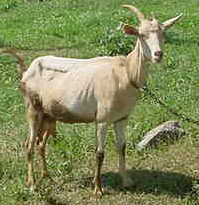 Hirshele, you may have been the only yingele in gantz spinka cheder that didnt know the story of the Munkatcher eidem A"H! SO, he went ahead with it and let the chips fall where they may. Baruch'l was a good guy and just got to the point where he didnt want to play the game anymore for them. Nu? Azoi shlecht? Just a nekuda about the "Zionist Policy Change" - once it was a fait accompli then the Frierdikeh Rebbe supported it. Shazar (then ambassador to U.N.) had yechidus and asked him to establish Kfar Chabad. The bottom line is that once there was a kibutz (no pun intended) of Yidden it had to be supported begashmiyus uberuchniyus. Ideologically it never changed keyadua, when the removed his "nesiyus" from Tomchei Temimim for singing Hatikva at a dinner, also see Rebbe's letter to Riverdale Jewish Center, where a Lubavitcher Chazan lost his Job for not singing Hatikva on yoim ha'atzumois (pun intended! )vechaheina rabois! Veyesh lehaarich bechol zeh aval ain hazman gromo! IMO we'd be better off if 100 or so more post war Rebbes got to the point where he didnt want to play the game anymore for them. After quite a few failed threads over the past few weeks you have posted another gem! Seems like you are begining to realize that your readers are only interested in straight undiluted lashon hara! So why post siliness that nobody cares about when you can post stuff about Rebbes and Roshei Yeshivos that is sure to generate much hate-talk, lashon hara, motzei shem rah and rechilus?! Are you saying that the last two Rebbes viewed the Zionist entity through the same prism as the Satmar Rebbe or the Minchas Eluzor? Give me a break. Suffice it to say that the forces that be in Satmar disagree. the bitter and unforgivable mistake they made in fighting zionism and the idea of jews going back to their homeland. Thank u anon Monday, January 19, 2009 12:54:00 PM for correcting this. This shul was established by R' Aron Spiegel (104 yo and still going to shul on Shabbos, his mind is clear B"H) and welcomed burechel and his son. The story I heard as a child in the shul was that R' Burechel was disappointed/depressed by the holocaust and the rebbalech who did not encourage their chassidim to leave europe and save themselves. After the war, he shunned the rabisteve and showed some zionist leanings as a way to protect yidden. He was a major talmid chochom, and a brilliant speaker (and a hartzige baal tefilla). His son tried to make peace with him in the later years, but he refused to see him when he visited EY. He let the einiklach in when they visted EY. An aidus told me his saw the BP munkatcher waiting in a car, when his kids went into the GF's apt in cholon. I was anonymous of 12:33 and I stand corrected. Someone already stated in Yiddish that R'Burechl was related, a nephew I think.Apparently the Minchas Eluzer took very good care of his ex rebbitzen, whom he had divorced since they were not zoicheh to kids, and R'Burechl was also related to her, so there was, maybe this additional thing , but I'm not sure about it. Wonder if you'd allow such discussions about the Lubavitcher dynasty,about son-in-laws etc. Well of course you would not.You won't allow even obvious stuff. Hey, how about one Rebbe saying the most nasty things about a person from Lubavitch backround that shaves....and then,,ok you probably guessed what I mean..
How about addressing the farce going on in Lubab, where the Rebbe is made to be "shli'ta" and still running the show. How would one call it? so what was the Rebbe supposed to do? tell everyone it was OK to shave now? stop being a moron. On top of that, bekius in shas?Apparently no degree in Paris even. Not enough good bochrim in Otwock? Btw, do you know what letter I'm referring to?There is one where he goes on to asser such a persons shechitta. btw, there was a korov issue there to. Btw, there is no personal issue(probably a decent fellow), but upon reading that letter, which was quite nasty in tone,I hit the roof. I realize you're intelligent and stuff, but please, try and put the pieces together. I'm sure even you can do it. It's not that difficult. so you understand that Reb Yisroel Salanter wrote about mussar when his son was frei? that you do understand? so you understand that the Brisker Rov hated Mizrachi and Tziyonim but was buddy buddy with his uncle Meir Berlin or with his nephew Rav J B Soloveitchik? Are you going to try and dish out as much dirt about other rabbonim to deflect the issue, a classic Lubab tactic. I guess you understand the difference between someones son becoming non religous, that is out of his power to taking a son-in-law??? I'm sorry you see it that way, and I feel bad that it seems that way, but it was TOTALLY not my intention, as hard as it may be for you to believe it! It seems like you're the one that changes the topic back to Lubavitch so as to deflect criticism from your partei! look at the bottom of the page right side. "Issue 2" Yair Rabinovich. Yes, that is exactly so. Lubavitch remains to this day just as anti-Zionist as it was before 1948. You will not see an Israeli flag or hear Hatikvah at any Chabad mosad. The Rebbe's horo'oh is not to participate in Yom Ha'atzmaut celebrations. The Rebbe was against frum people being cabinet ministers in the medinah. Of all the sources on which the Rebbe could have based his absolutist not-an-inch stand on Israel's security, the one he chose is a gemara that isn't about Eretz Yisroel but about a Jewish-populated area in Bovel. That is not a coincidence. For the Rebbe the whole thing was not about Zionism but about the security of the millions of Jews who live in EY. He would have been just as emphatic if the USA government were contemplating giving up land in New England to some hypothetical band of bloodthirsty antisemitic Quebecois, who would be likely to use that land as a base from which to kill Jews. And on the other hand, he did not support the Religious-Zionist shita that mitzvas kibbush ho'oretz applies nowadays, and by definition overrides pikuach nefesh, and therefore that Israel must keep all territories that fall into its hand, even at the expense of Jewish lives. Lu yetzuyor that territorial concessions would make Jews safer instead of less safe, he would have supported giving away everything, including Yerusholayim. I heard him say that myself. The following link may interest you.It contains a picture of a letter by a rov describing the derosho of The author of Aim habonim smeicho r'teichtel in Budapest during the war and how he decries the anti-zionism to appease the oilem they later brought R'Burechl, who opposed r'teichtel especially on the grounds of turning away from his rebbe the minchas eluzer. The writer of the letter r'friedman was himself a bit of a tragic case, being close to mizrachi etc. I don't have coiach to write the whole megilla now, read in the link. You don't need to post this garbled message .i'm tired and don't have the coiach to write well now. studyieng in a goiyisher berliner colledge !!!! in fact one of them oopened his clothing store in tel aviv in yom kipur!!!!! and you will have to give din vechesbon for yr repulsive behavior!!!!!!!!!! it is more proper for you to work in a farm of chazirim then to be a dirty blogger, shame on you !!!!!! Israeli Chabadniks speak Ivrit, are Rabbanim Tzvaiim. I assume they vote in elections and pay taxes and that some do regular Tzahal service. IOW they are fully engaged with the state. Perhaps moreso than any other Chasidic or Charedi group. Are you going to bring me a raya that Gerrer and Satmar Shita are identical since in Ger they don't fly the kachol v'lavan nor do they sing HaTikvah? When they say kinos in 770 and K'far Chabad on 5 Iyar then let's talk. How can you possibly say that the shita has not changed? I really can't grasp your defensive apologetics. Were I a Chabadnik I would be proud to be a member of a zerem in Yiddihskeit that had a gutsy visionary leader unafraid to innovate and partially break with the past while maintaining the tamtsis of the Mesorah. Unlike Satmar, a relative "new kid on the block" of Chasidus Chabad has a rich 7 generation old culture hearkening back to the very roots of the movement. In Satmar anti-zionism is the be all and end all of the Chasidus. Even if you choose to maintain the manifestly delusional contention that Lubavitch today is anti-Zionist there is no way in the world that you can argue that anti-Zionism is the lifeblood of the movement. PS Are you sure there was nothing AT ALL messianic in the Rebbe's zy"a's shittos about not returning any land to the Arabs? After all it would be extremely bad form for a Jewish King leading what is suppossed to be the FINAL episode of Jewish destiny and history to cede land to the umos haolam. It might give the impression that History's final chapter had yet to be written. I do not have the ability to read all the comments. But I spoke to one of the Anash (Chabad) who lived in tel Aviv in the 1940's. As he remarked many Rebbes came to tel Aviv and tried to rebuild their courts. Some did like the visnitzer, others tried like Reb Baruchel and failed.But my informant stressed that rav baruch tried to rebuild his court velo olo beyado. family reasons played a major role. Firstly the Rebbetzin was sickly and R. Baruch spent time and energy taking care of her and the large family. After she died the connection with his chasidim was really lost. Also he needed funds so he moved to S. paulo. My cousin Reb Yitzchok Alperowitz was one of the roshe kohol of nearby Santos and he remembers him as a strongperson a highly personable man. he gave me pictures of the Rav sitting with a boutenairre in his lapel. 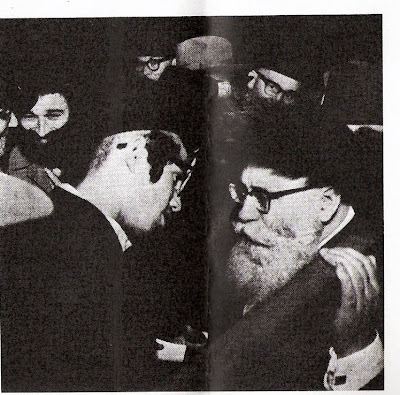 Some of the photos have "3 chacshuve people" in the shot the rav, my cousin and the grandfather of the Liozner who was a scribe in S. Paulo.Other rebbes failed like the Spinker rav weiss, he had a huge eylem in israel, but could not organize them. Other resigned like rabbi Katzenelson who was a rebbe in poland and became a judge in israel. Other gave up like men described by the late Forward editor Reb Mordeche Strigle of Banshaks who wanted out after the War and did not resume their identity. lets face it Reb Yochonon of Stolin also seemingly was not interested anymore. Who knows who a few of the "pahute Yidden in the Bronx or Brownsville really were or their yichus was. Just last week a yachsan Twersky died in LA who never practiced the family's trade. Finally both the satmarer rebbe Rav Joel and the minchas Eluzer regarded themselves as galitzianer Yidden not as Hungarian Jews.Thast why Reb Yoel went back to poland for his zivug Sheni and galicia for zivug Rishon . Why the Munkatzer was mshadech with Poland perhaps the family connection, perhaps one needs to look into the 2 booklets printed right after his death by one of his gabboim. perhaps he had fought with every Hungarian zaddik and no one was was left ? Who knows ? I read one of R. baruch's seforim and he was not a katla kanya.the tragedy is that he was not offered a more chashuve rabbanus in the US or Israel. With your post to Millhouse you have gained my respect! Let me tell you why:I've felt that you sometimes "kiss up" to the blogmeister, though you try your best to be a sane rational voice. It's no secret that though Lubavitch has done a lot of altruistic outreach work they also have an irrational side that the rest of us see as very strange and illogical.Whenever questioned they go into defensive mode, which can also include nasty attacks.For example I can never get a simple honest answer why they are not at least thinking of appointing a new rebbe.Why they cannot do something about the huge percentage of Meshichisten etc. Anyway, anybody who knows a bit about Lubavitch knows that the Rasha'b was a terrible foe ala Satmar style of the Zionistic idea and Satmar even published his letters.The last Rebbe was totally different and today Lubavitch is very much in the Zionistic camp at least relative to other "chareidim".Interestingly enough lately some Lubavitch boys are actually serving in the Israeli Army! Millhouse:I don't know why you choose to issue election style slogans.You are always at the forefront of saying these things. "No dina demalchusa, Rubashkin has just been picked on, Lubavitch is just as anti Zionistic as always"
We all know that all those statements are feeble apologetics ala the "great" Bill Clinton. kiss up is a bit harsh IMO. I try b'derech k'lal to be a gracious guest and keep a civil tongue in my head (except vis a vis CBT). Simple lesson from talmidei Rebee Akiva. it's OK to fight, just fight nicely. You are a very gracious guest no question about it, but seriously I'd like to see more of the posts you wrote to Millhouse which while civil don't let the apologetics run amock.Some Lubab see your graciousness as an endorsement not realizing that in the wider Jewish World, lots about Chabad is seen as, to put it mildly, "strange"
Also, and no personal insult meant towards Millhouse, it's time someone put him in his place:Why?Well for starters this is a fellow who is not a young bochur,apparently he is years after graduation from yeshiva, may even have some kind of rabbinical position, writes in a decent English,yet......parrots quite a scary Lubavitch line.No Dina demalchusa applies for example!Obviously this is just twisting the halocha, but the silliness of actually promoting such a view in the public eye?! And, yes, it did not help Rubashkin one iota.Actually the reason Rubashkin is unfortunately locked up pre-trial for the last couple of months and unfortunately his trial is slated for September '09, which means that he may have to be in jail till then, is because of smart alecs like Millhouse! As a ben yoitzei Munkatch I can tell you that in Munkatch everyone knew that the Rov took a Ilu A yachsan from a strange combination Yid Hakodosh And Sanzer rov, that was the reason that the town knew.There were many Rebbes in Munkatcher region As reb Moshele Zidichover or the Spinker Rebbe that he had a lukewarm relationship, Or Reb Yisrolche Viznitzr that he had a very warm relationship eventough he was from the agudah .. but he decided to make that move. As we are discussing this subject, there is a new book out by Lefkowitz Peretz of Belgium with a lot interesting Sanzer Shinever stories that he heard from his Rebbe that was a big chosid of these courts,He Writes that the Kolishitzer Rov met by the Sanzer yortziet in the town of Sanz a big goan and tzadik ( lefkowitz doesn't mention by name) so that tzadik told the Kolishitzer happily that his daughter is engaged to a Choson a big Ilu, the Kolishitzer asked him in dismay Didn't you hear that the Sanzer Zieda was against eidemer iluim? ( Lefkowitz goes on to write that at the end that SIl had a bad end etc.. Missed this post. (I stay away a lot as the blog has denigrated into a Chabad vs the world mud bath). I knew much of his family, both from the first and second wife (they got along, and the second family introduced me to the first). I also knew some old time Munchachers. Suffice it to say, that although he always resented his son for supplanting him, and even refused to see him, he also ran away from the Rebistever. A old Muchacher told me that when Borucel needed money, he would come to America and fer Tish etc. After tish he went in to a side room, and OPENED UP THE YIDDISH PAPER in public view. He also had some quirky personality traits. But to his schul in Cholon many old time Munchachers would come for Yomim Noraim. I imagine not the real chassidish ones. He was a candidate for chief Rabbi of Israel in 1976 (I think). The victorious candidate was Shalom Goren!! Heezaher bidvarecha! Yellow showes? Brothers with stores YK - you are mixing up many things (and maybe Tzig let it go for the kerendel of emess). Re: 1 brother - no one denies anything and as is suggested we look at the toiv, just as Tzig did here about Reb Burechel. Anonymuos - about Koloshitzer Zaddik , Illuyim Lefkowitz book etc A greyser yasher kayach. Very interesting and I have a hergesh that what you write is authentic . Bray, yes, Lubavitchers pay taxes and make use of government services in Israel just as they do in America. Yes, those who are not learning full time, and are legally required to go to the army do so. Yes, those who didn't grow up speaking Yiddish speak the local language, to the same extent that they do in every country; and of course even those who do speak Yiddish among themselves speak the local language to outsiders - just as do Satmarers. And of course they vote in elections, as do almost all non-zionists and anti-zionists; not voting is stupid. How does any of that make Lubavitch somehow "zionist"? It remains the case that Lubavitch is just as anti-zionist under the last two rebbes as it was under the Rebbe Nishmoso Eden. All that changed was the metzius — despite the Frierdiker Rebbe's opposition the state was established, and the truth is that by that time there was little other option for the Jews of EY. They had to fight for their lives, and the Frierdiger Rebbe fully supported them in that struggle, just as his father would have done. The only difference between Lubavitch and Satmar as regards the state is how to relate to the fact that the resho'im achieved their goal and established it, and it now exists. There is no returning to the previous situation; the British are not about to take it back, and nor are the Ottomans. Almost all anti-zionists accepted the metzius, that there is a melech chodosh, and like it or not we have to deal with it. The Satmar approach is like pretending that Obama is not the president, just because we wish it were so; es vet gornisht helfen. Someone who accommodates himself to the election result doesn't thereby become a Democrat, chas vesholom! As for saying kinos on 5 Iyar, that is also recognising the day as special; that is an accommodation to reality that nobody is forced to make. Lubavitch, like most anti-zionists simply ignores the day, and treats it exactly like the previous day and the next day. If there's no reason to omit tachnun then it's said, but if there's a bris or something then it's omitted, and a sheltered Lubavitcher child has no idea that the day is in any way different. man are u lubaitchers sick !! thank G-D uv'e separated and distanced yourself from the mainstream chareidim !! it saves us from doing the dirty work !! Let's have some hidden storied of Lubavitch also, like the Rabisteve of the Raz"a, brother of the Rasha"b, who was rebbe but than resigned, perhaps because he was too open minded. Schneur, could you give is more information about that? come now, is there no one out there who remembers moishe leib rabinovitch and all his antics when he 'studied' in telz in wickliffe. if you tell what you remember I'll tell what i remember! we remember.for twenty points,name the telzer rosh yeshiva who when realizing that his car had been stolen turned to one older student and declaimed,"dir bin ich nit cheished." and then turning to that student's chavrusa, moishe leib'niu declared for all to hear,"ober dir mit'n peiyis un shabbesdik'n bekeshe,dir bin ich cheished!" Reb Burechl gave away his "throne" not only because of zionistic views. Actually if he was such a staunch zionist, why did he leave Israel for Sao Paulo, Brasil, in 1948? Answer: He disliked chassidism and would have wanted to extricate himself from their lifestyle, if only he could...(too many of them longed for his tishn and supported him monetarily) In Brasil he attended Brasilian University, took courses in philosophy... spoke fluently several languages... He wore a white tie with a diamond pin in the center; his appearance was always impeccable; He wore a gold watch on Shabes. Short peyos behind his ears- not noticeable unless you looked for it. His beard was always neatly combed. I guess he imagined himself a modern pulpit rabbi. When he moved back to Israel from Brasil to Petach Tikva he would say that he was estranged from his sons (the Munkatcher and the Dinover) because they are anti-zionists and they rejected him. This was not true. The relationship was strained as is always the case when there is a step-mother situation...nothing to do with philosophical issues. He truly did not want to comply with all the obligations a Rebitzva would impose on him and therefore he never came back to the U.S. to assume the leadership of Munkatch. The Chassidim, without a leader for so many years (many of whom defected to Satmar) annointed Reb Moishe Leib who is the current Munkatcher Rebbe.